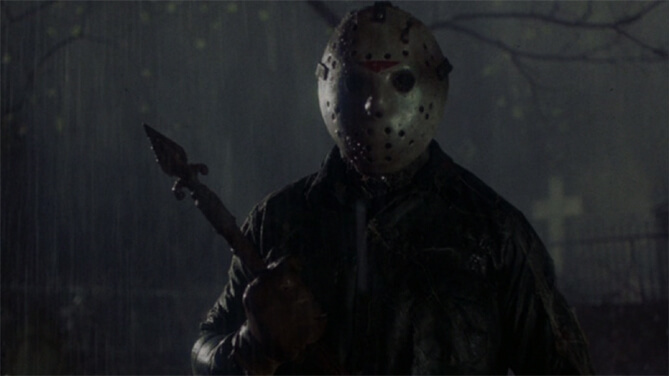 Jason Voorhees comes back from the dead to kill teenagers in general and Tommy Jarvis in particular. 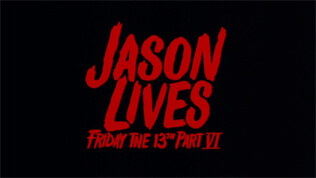 Having been killed once and for all in The Final Chapter and sitting out for A New Beginning, Jason Voorhees makes his triumphant return in Jason Lives: Friday the 13th Part VI. 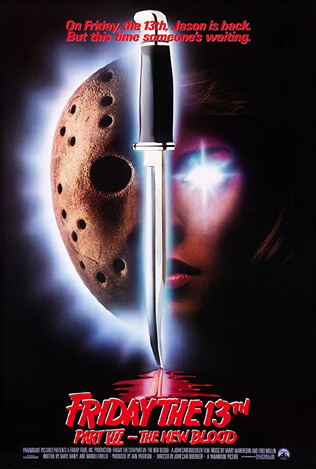 Earlier films may be somewhat unrealistic, and Jason may have seemed superhuman, but this is the first of the Friday the 13th series to undeniably feature supernatural elements. 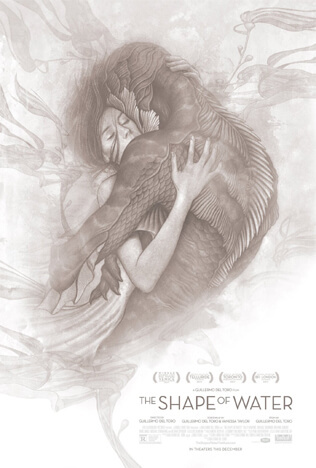 It's also the first to embrace its own comedic elements. Tommy Jarvis, our hero from the previous two films, checks in on Jason to make sure he's still dead, but inadvertently resurrects the killer. It's common knowledge around Crystal Lake that Tommy is somewhat unstable, and when the body count rises, the sheriff thinks Tommy is picking up where Jason left off. As the only person who knows the real Jason Voorhees has returned, Tommy is the only one who can stop him. Bringing Jason back from the dead was absolutely the right choice for the series, even if it meant turning him into a zombie of sorts. 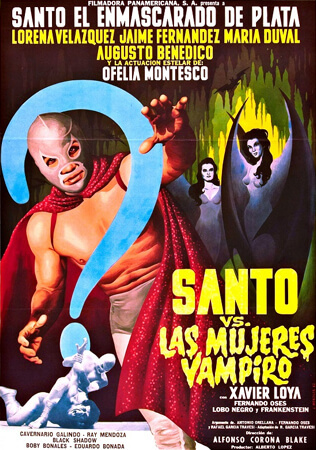 With his supernatural status established, it's much easier to accept the fact that he survives countless injuries that would finish any real person, as well as the near-cartoon level of violence that he inflicts on his victims. 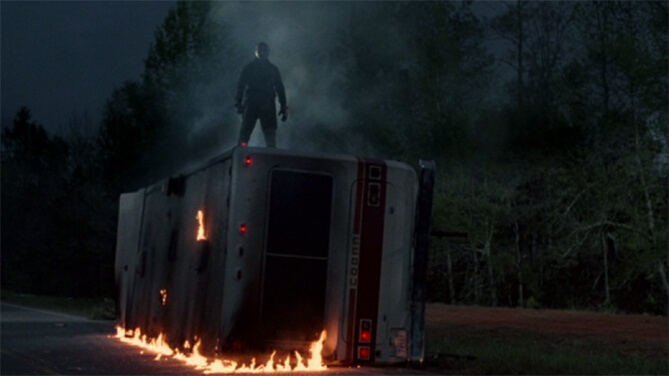 Jason Lives is violent, but most on-screen deaths and mutilations are absurd. 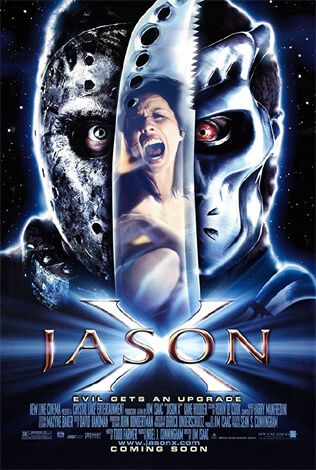 Jason presses a victim's head through the side of a camper, leaving an impossibly-perfect impression of their face in the metal. 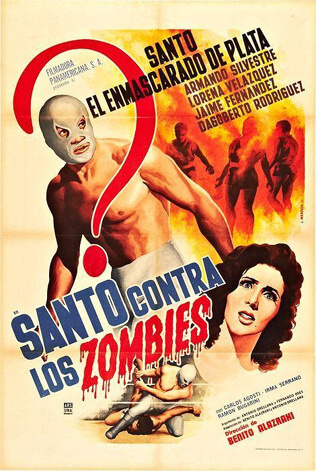 He also manages to decapitate three people with one swift machete swing. It may sound gruesome, but these scenes are clearly played for laughs. One character even breaks the fourth wall to make sure the audience knows they're supposed to be laughing. 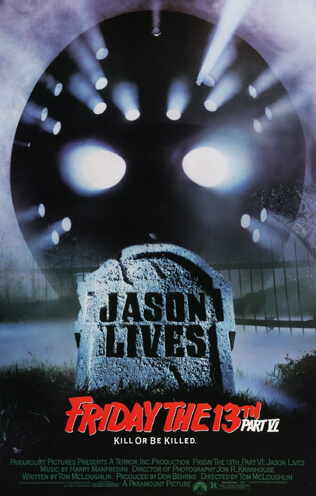 The humor established in Jason Lives continues in all subsequent Friday movies. 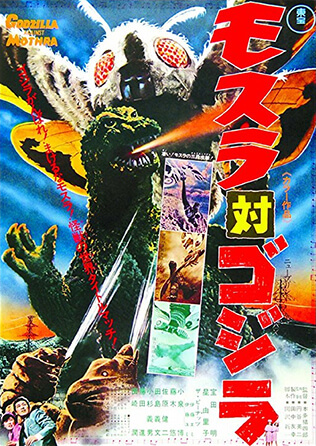 If Part VI is missing anything, it's horror. The heavy use of gags outweighs the tension, so while the film is endlessly entertaining, it's not very frightening. C.J. Graham does as good a job as any Jason Voorhees up to this point, but he (like all others) is overshadowed by Kane Hodder's portrayal in the next four Friday the 13th movies. Hodder's performances create a better balance between comedy and horror, but there would be no humor to level out without Jason Lives.